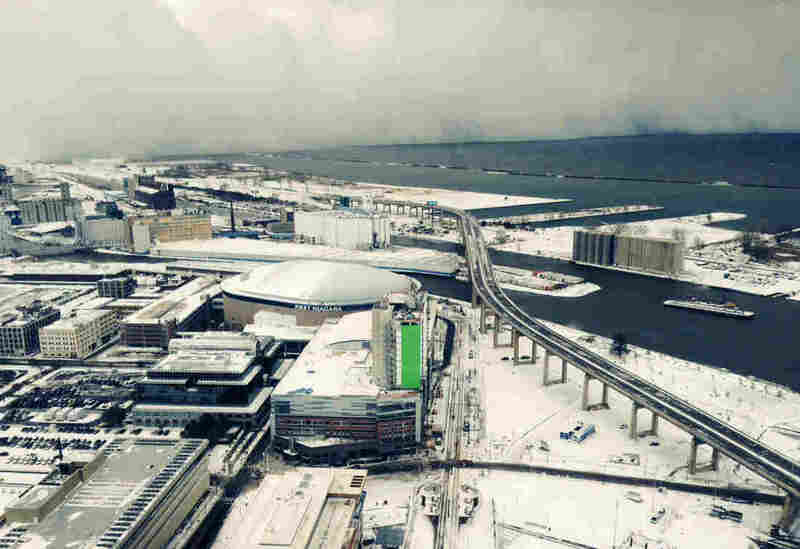 Historic Snowstorm Buries Western New York, Kills 7 : The Two-Way Driven by the lake effect, the storm dumped up to 60 inches of snow in some areas, paralyzing an area used to huge snow totals. A house is obscured by windblown, lake-effect snow on Tuesday. Another 2 to 3 feet of snow is expected to fall in the Buffalo area by late Thursday. At least seven deaths in western New York have been blamed on the storm — at least four of them from heart attacks. 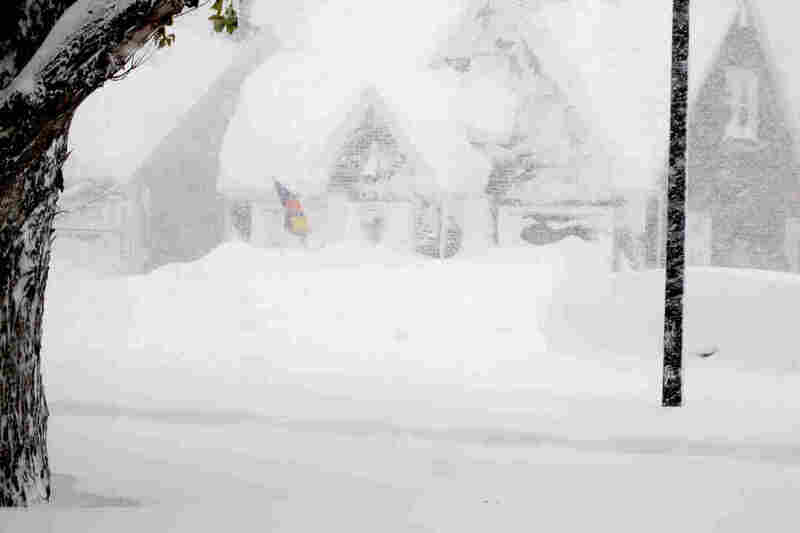 Driven by the lake effect, a massive snowstorm dumped up to 60 inches of snow on some parts of western New York, killing at least five people and paralyzing an area used to huge snow totals. In a news conference Wednesday morning, Mark Poloncarz, Erie County's executive, said plows were out on the roads trying to dig out the city of Buffalo and its surroundings. A new storm was moving across the area but was "only expected" to bring 3 to 5 inches of snow. "That is a nice respite," Poloncarz said. "Dave Zaff of the National Weather Service in Buffalo said there's no meteorological term for the phenomenon that created that strikingly pronounced wall of clouds and churned out the unbelievable amount of snow.
" 'Whiteout to blue sky in a very, very short distance,' he said. "It's not unheard of when it comes to lake-effect storms. But the snow totals? They may be for the history books.
" 'This will be a historic event,' Zaff said. 'Absolutely. It is a historic event.' "
The Associated Press reports that the storm stranded 150 vehicles on roadways, and New York Gov. Andrew Cuomo mobilized 150 members of the National Guard to help in the cleanup. NBC News reports that New York closed schools and declared a state of emergency. "The Niagara University Purple Eagles women's basketball team was trying to return home from Pittsburgh after a loss to the Pitt Panthers on Monday night when the team bus got stuck on the Thruway just 50 miles from their campus in Buffalo. They remained stuck there Tuesday night — live-tweeting their experience after more than 24 hours on board, thanks to the bus' Wi-Fi. "The team decided to stay on the bus rather than to be evacuated. Ellen Pzepasniak, a spokeswoman for the Erie County executive's office, said emergency officials have been checking up on the bus, and 'there are no reported issues.' "